I wrote walks for Cornwall Today for several years, and it occurred to me to put these together in book form. Here is a selection published by Sigma Press. Discover Cornwall features 20 walks, providing a healthy and entertaining way to keep fit, learn about Cornwall and enjoy the beaches, moorland and history of this magical county. A good range of gentle to moderate walks between four and six miles in length - there’s something for everyone. A friend came up with this idea, so I am everlastingly grateful for this gem, which has led to the rest of the Walks in the Footsteps series. 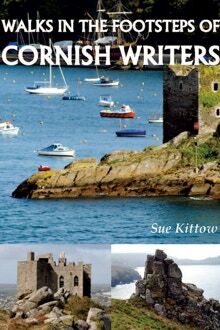 This book features 20 walks all relating to different writers associated with Cornwall. It was fascinating talking to the contemporary authors about their favourite walks, and I loved discovering the places that were so special to those well known writers who are no longer with us. When I finished the Cornish Writers book, I said I wouldn’t write another book. It is too time consuming when I have to earn money from journalism. And then the new TV series of Poldark came along - and went global. 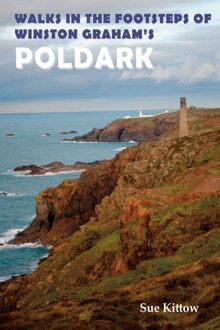 Well, I couldn’t sit by and let someone else write a Poldark walks book, so I pitched that idea and realised I had limited time in which to write it, as the next series was scheduled for the following year. So I came to write this book during the wettest winter we have had for over 100 years. However, it was a joy to re-read Winston Graham’s amazing novels and research the many places, people and events that are associated with the books and TV series. Winston Graham was so good at evoking the real landscape of Cornwall, the Cornish people and the unpredictability of the Cornish weather. I have loved Du Maurier’s novels with a passion since I was a young teenager. I don’t know how many times I have wept over Frenchman’s Creek, shuddered as I turned the pages of Jamaica Inn and admired the bravery of Honor in The King’s General. 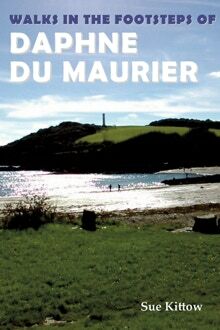 Du Maurier was, to my mind, unrivalled at her descriptions of the moors, the sea and the rivers. She was adept at the details that show a character in often chilling ways, such as Joss Merlyn’s huge hands deftly cutting a loaf of bread. Daphne du Maurier regarded Cornwall as her refuge, and was where she found her niche, and her ability to write. But who doesn’t need a refuge at times? This book explores many of the routes featured in her books, and it was a joy to walk in her footsteps. I was fortunate enough to interview Rosamunde Pilcher just before her 90th birthday and noted that she was a lot more alert and with it than I felt that day. She was fascinating to talk to, with very strong views on education (keeping the libraries open) and her memories of Cornwall were very vivid. 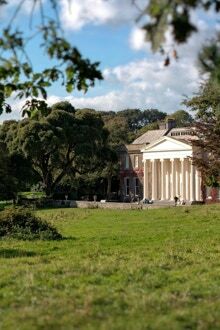 Over the past decade or so, Cornwall has provided the backdrop for a highly popular German TV series based on Rosamunde Pilcher’s short stories. It is aired on Sunday nights, and is responsible for a huge number of German visitors to our county, so it seemed only right to pay tribute to her and to our German visitors who appreciate Cornwall as much as we do.